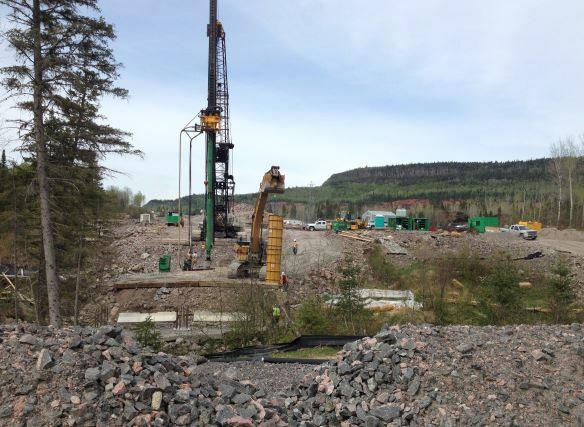 Located in one of the world’s most prolific gold districts, Red Lake is Goldcorp’s top producing gold mine. 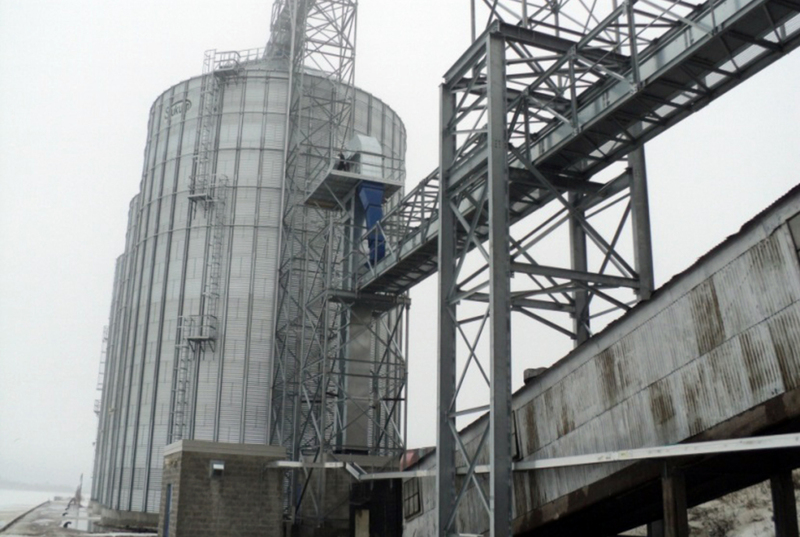 The facility yielded 493,000 ounces in 2013. 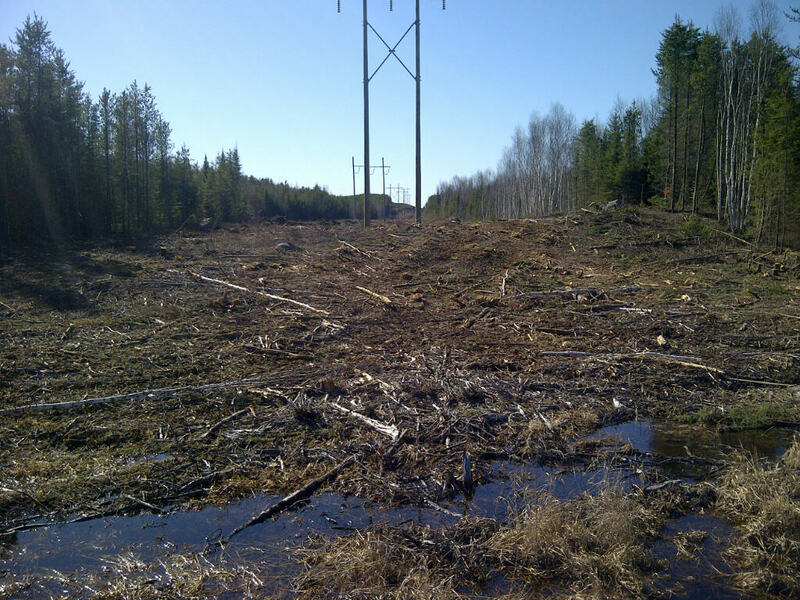 In 2012, TBT Engineering was retained by the client to carry out a geotechnical investigation for a proposed hydro line expansion to Goldcorp Inc.’s Red Lake Facility from Harry’s Corner to the Balmer Substation, near Red Lake Ontario. 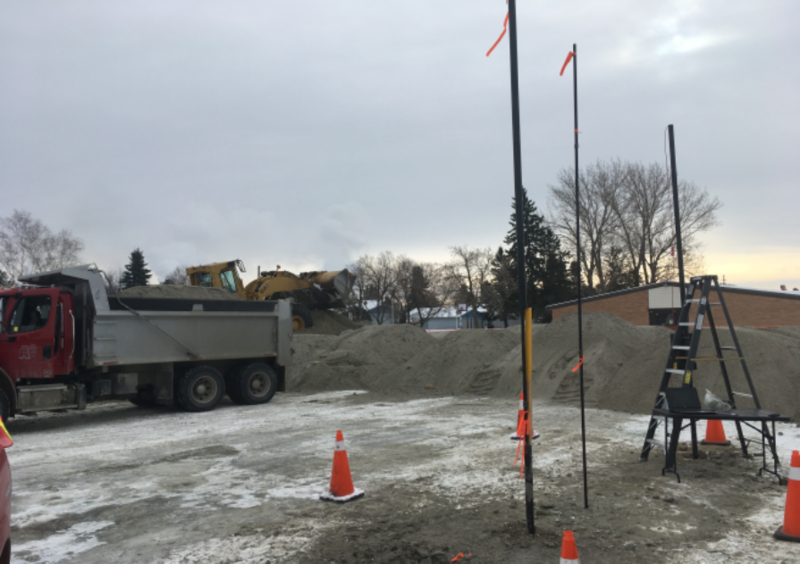 More specifically, the required scope of work included geotechnical investigations required to create foundation design parameters for single and double pole transmission structures, dead-end angle structures, and lattice towers. Fieldwork was carried out utilizing track mounted geotechnical drill rigs. All boreholes were advanced using hollow stem augers to auger refusal at the locations indicated. All auger refusal material was sampled using diamond coring techniques. During the drilling operations, soil samples were obtained from the auger flights and using the techniques of the standard penetration test (SPT). Classification and index tests were subsequently performed in TBTE’s Thunder Bay laboratory on samples collected from the boreholes and probe holes to aid in the selection of engineering properties. Laboratory tests included natural moisture contents, and gradation analyses. Strength and analytical testing was completed on select bedrock samples. Based on investigative procedures and testing, engineering properties of the subsurface soils where determined. 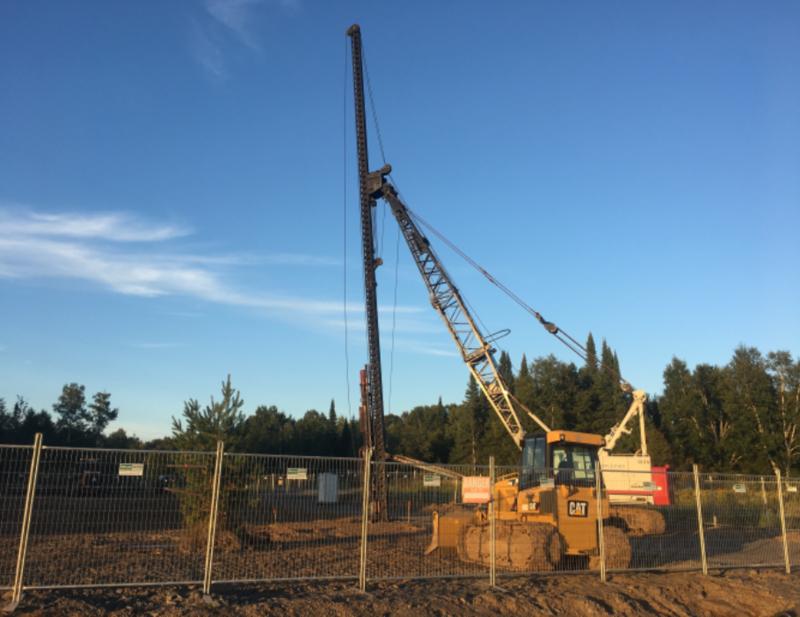 The final report included a summary of the soil and groundwater conditions encountered, as well as recommendations for geotechnical parameters for the design of the foundations. The factual data included a borehole location plan, borehole logs and laboratory test results. Geotechnical recommendations where prepared for soil properties, ultimate bearing capacity, modulus of subgrade reaction, adfreeze pressures (estimated), depth of frost penetration, ultimate unit skin friction and coefficients of lateral earth pressures (at rest, active and passive). General commentary on construction related issues such as excavations, dewatering, back-fill, road access, site grading and drainage where also prepared. 2018-10-24 TBT Engineering Staff Go Purple In Support Of Child Abuse Prevention! We are constantly looking for bright, energetic, and career-minded individuals to enhance our organization. We offer competitive compensation, training, benefits and room for growth. Have a vision for a project? We are here to help with it no matter the size and scope. We look forward to being your down to earth full-service consultants! © TBT Engineering 2019. All rights reserved.